"Complex Shapes" allow you to create extremely complicated and amazing spheres, polygons, and patterns. -Copy the command that is opened inside the paste bin. 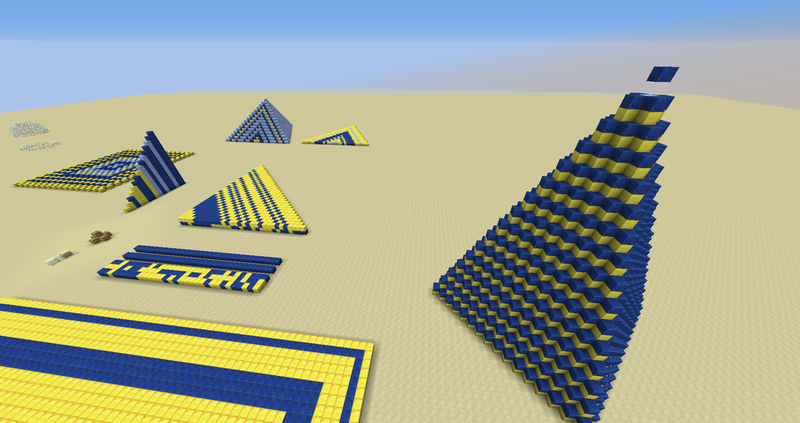 -Open Minecraft in a creative world with cheats enabled. -Place the command block down. Click here for the commmand - You must be at the (0,0) co-ordinate for this command to work! -Make sure your world spawn is at the (0,0) co-ord. See installation instructions. -Place a "main color" on the block you want to use. You can do this for multiple blocks. 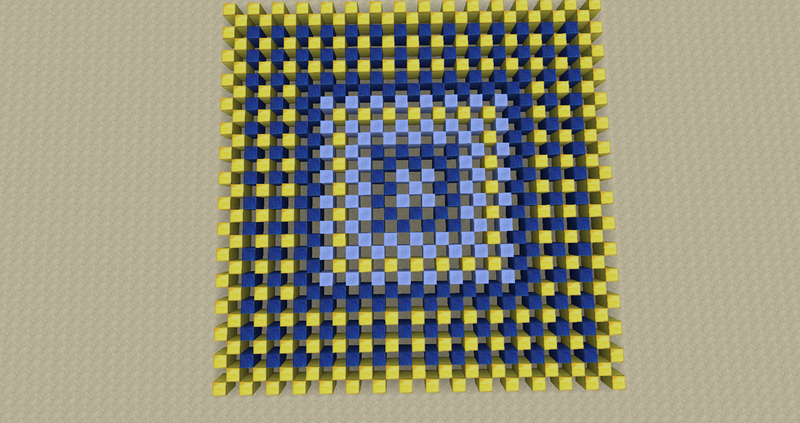 -Place the "secondary color" on a block in a similar fashion to edit the SPHERE used for the sphere brush. 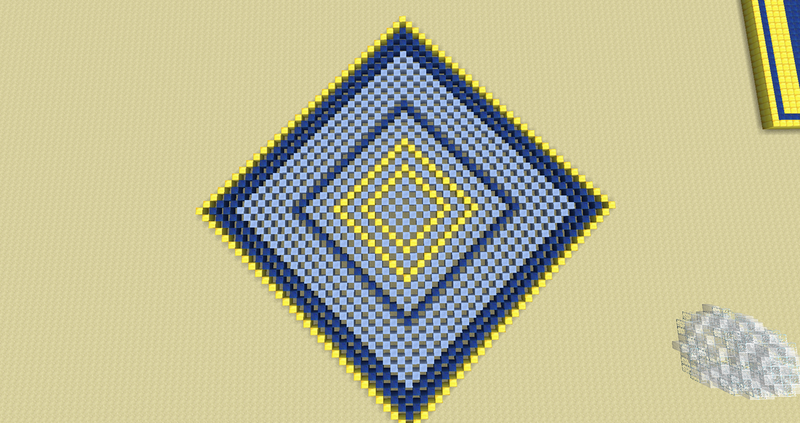 -Place down a "directions" egg and model a shape around it with glowstone. The glowstone must be within 1 block of the Silverfish and can go in ANY direction including diagonals, and ups, and downs. 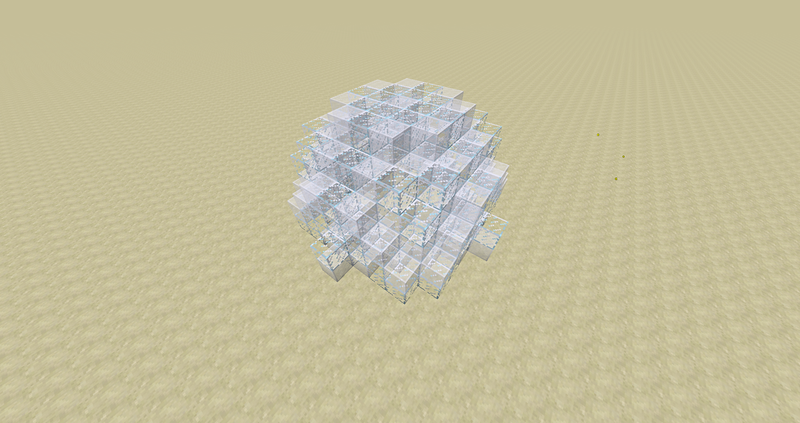 - The sides, ups, and downs, of the directions silverfish can be extended by an extra block. -Place down your "normal brush" to create a generic shape. -Place down you "sphere brush" to create a generic shape with a sphere inside. -You can use end stone if you don't want a block there. Remove the end stone by placing the "start" egg on the ground and moving within 15 blocks of the stone. -Go to the last command block in the command block stack. Change the last number in the command to change the size. Sizes above 20 are not recommended as it may destroy your computer. -Go to the second last command block. Increase "r=" to increase the maximum radius of the sphere. - Increase "rm=" to increase the minimum radius of the sphere. -Large complex shapes will crash your game. Do not use sizes above 20 if possible.